One day I threw up immediately after eating Brinjals, I thought some thing was wrong with those Brinjals and so I felt sick. I forgot about it. A few days later again the same thing happened after eating Brinjals.Now I knew I had to be careful in future. 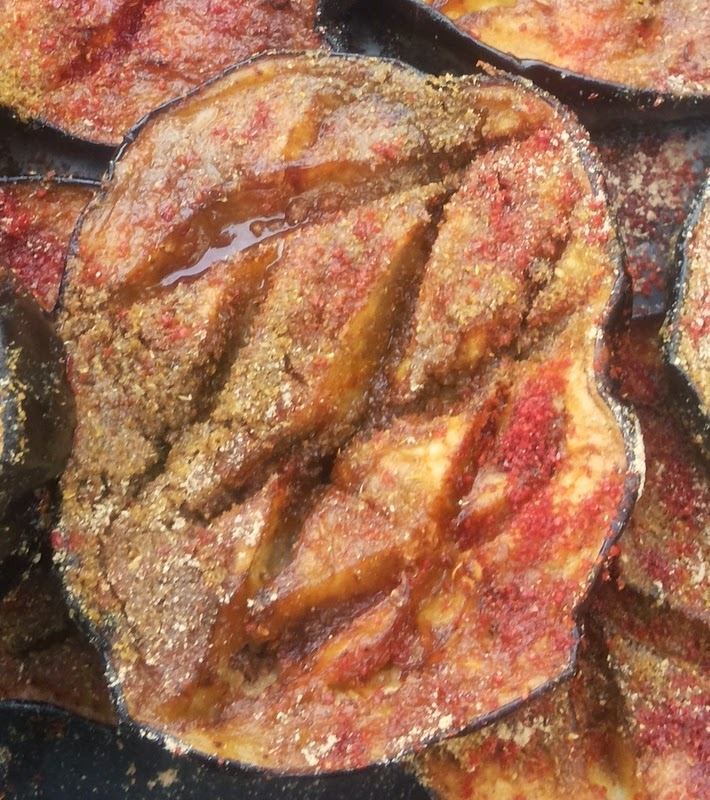 Then one day I went out for lunch with a friend who ordered a conti dish with Brinjals, we were so engrossed that I did not realize what she had ordered. We started the meal and after a bite or two I started getting uncomfortable, suddenly I started choking and lost my voice...my poor friend wondered what went wrong she immediately called for ice cream and I was better in a few minutes. This is what Brinjals do to me. I have stopped cooking them and even though they used to be a family favorite they stopped coming to the house. 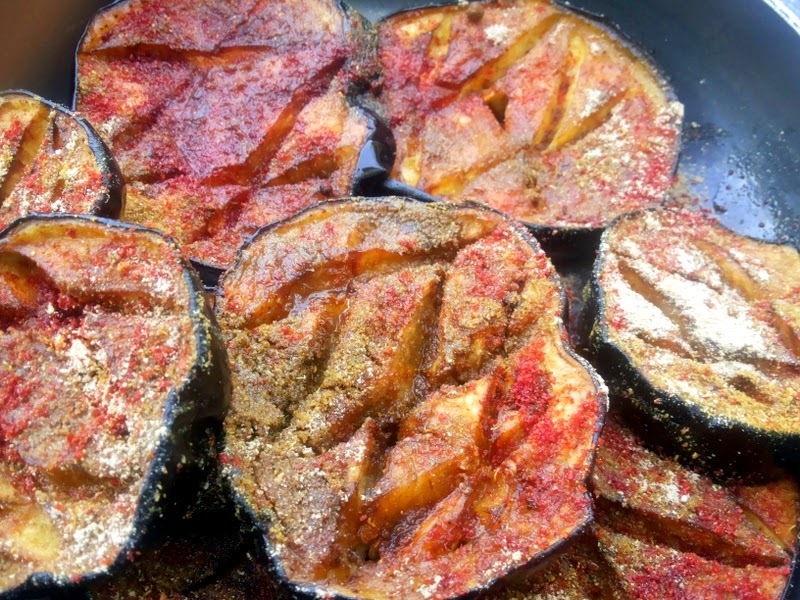 Time has passed by and now my daughter in law loves these Brinjals, so after a few years we made these, no I did not touch them, but thought let me share these as they are actually delicious and a favorite North Indian side dish. This happens to me my second days post for the first week of BM 45. These are deep fried but trust me you will love them. 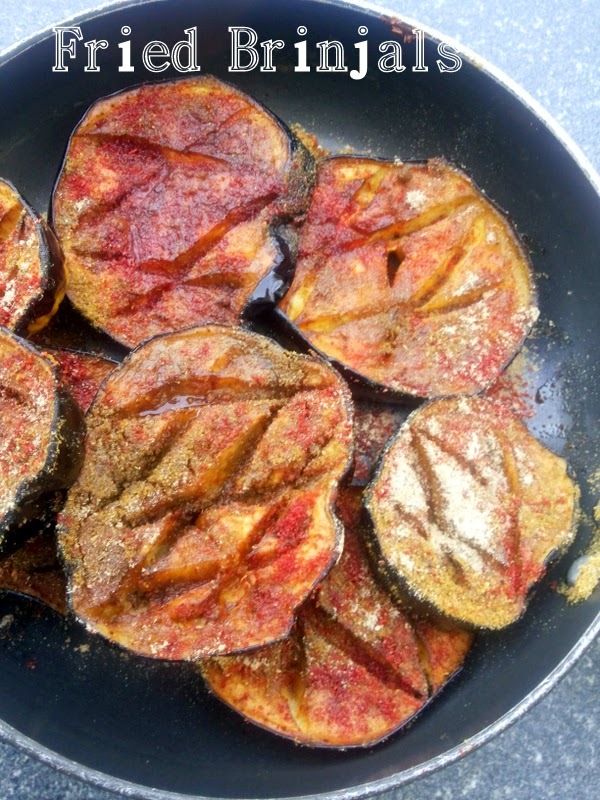 Cut thick roundels of Brinjals. Make criss cross with a knife , this will ensure even cooking. Keep aside for 5-7 minutes. In the meantime heat oil. Squeeze out the excess water and deep fry the Brinjals. Make sure you put them upside down. Once the criss cross side is golden flip over and fry the other side too. Once done place them on a kitchen towel and sprinkle the spices according to your taste. These are best served with hot chapatis and steaming daals.